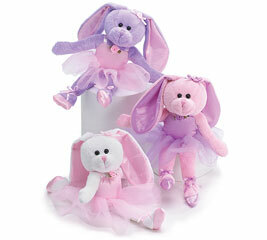 This little ballet bunny is about 10 1/2 inches tall. She is wearing a ballet tutu, ballet shoes, and has little roses by her ears. Soft head and body. The perfect gift for your little ballerina.